Jump-Start the New Year with Care Resource Little Havana! The holidays are behind us and it is time to jump-start the New Year with a focus on your personal health. It’s time to get back in shape and have a free annual wellness visit at Care Resource Little Havana. New, uninsured patients can meet with a primary care physician to have a basic exam, routine labs and a cholesterol screening. Join the Care Resource family and help us provide you with the absolute best opportunity for a long, healthy, and productive life. Care Resource services are provided on a sliding-fee scale based on income and household size. This scale can provide reduced fees for those who are uninsured, have a low income, or may be undocumented. This is the time to make a commitment to your personal health and wellness in 2019. A free wellness voucher includes a physical exam, a cholesterol screening, a blood pressure screening and routine labs. The following promotion is available for new patients without insurance from January 1 to March 31, 2019, and by appointment only. 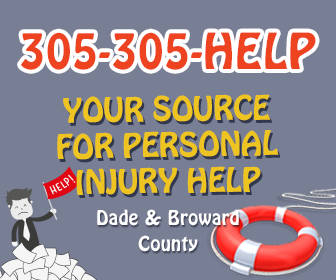 Please call 305-576-1234 ext. 470 (English) or 471 (Español) to schedule an appointment. This promotion is only valid for new medical patients without insurance. Acceptance of this offer is considered an acknowledgement by the patient that they are not insured. Offer has no cash value. Promotion is subject to change or termination at any time, without notice. Follow-up visit must be scheduled within six weeks of initial visit. This offer is valid from January 1 to March 31, 2019.